Selfies. First, they were dubbed as narcissistic by many, and while that may have been true at the time, selfies have evolved beyond just narcissistic photos of yourself. Now, they’re an excellent way to capture memories with a group of friends and family at events and on trips. The cameras themselves have evolved in quality, allowing you to also capture yourself in front of jaw-dropping scenic backgrounds to show your friends and family later. Selfies have certainly evolved, and selfie phones with it. If you follow along with us below, we’re going to show you the best selfie phones money can buy, but also a handful of phones that now have front LED flash and ultrawide cameras for better field of view. Let’s dive right in. Our second favorite for best selfie phone behind the Galaxy S10 is the Galaxy S8, which comes with front facing LED flash light. Think about it, the undisputed top Android phone currently is the Samsung Galaxy S8, so let’s compare a few specs that’s important for a selfie phone. S8 does not have a front facing led flash light, but still takes excellent and wide photos. It has a 12-megapixel camera, which has been optimized to capture extraordinary detail. A big battery brings you long battery life. While it may not have LED flash, it can still capture photos well in low-light situations. Think about it, when do you typically capture the vast majority of your self-portraits? Definitely not in the morning, given your face often feels like a work in progress after waking up. At your place of business or school? Sure, sometimes, if you’re really bored… or a teacher isn’t looking. But nine out of ten selfies, according to our unfounded suspicions, are produced at night, while out in town, at a party, or in the club. Needless to highlight the surrounding conditions don’t always seem ideal and flattering, which is why a front-firing LED flash is a must-have. 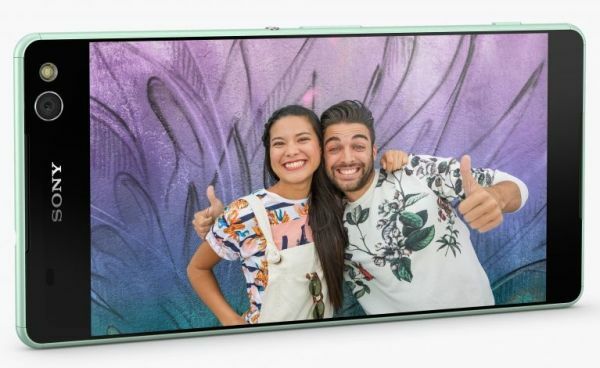 The Sony Xperia 10 Plus is the latest and greatest of all selfie phones. The 5 megapixel front facing camera is an excellent performer. You know this is a phone made for selfies when Sony decided to feature the optical image stabilization function on the FRONT facing camera, that is almost unheard of. Additionally, it has an above average 4GB of RAM to power your multitasking habits. The big and powerful battery should be more than enough to last you through the day. And an industry leading screen leaves you plenty of room and detail to edit your photos. Taking on a style akin to the Google Pixel 3, the Honor 8X is up next as our favorite selfie phone. The cameras on this phone look positively dreamy, with 20 megapixels and a dual-LED, dual-tone rear flash, as well as an 16 MP ultrawide sensor around the front. Additionally, you get a 6.5-inch borderless display, 4GB of RAM, and a whopping 64GB of storage space. And how can we forget about the wholesome tri-camera, with two 12-megapixel sensors and a 16-megapixel shooter, or the respectable secondary 10 MP ultrawide shooter? HTC has struggled a lot for years now, but the HTC U12 Life has made some good work at are redeeming the HTC name. That said, the U12 Life is a fairly sweet performer. There’s a dual, rear 16-megapixel setup, but a 5MP setup on the front. A beautiful 6-inch display on this phone means you can edit photos with detail. The good news is that the U12 Life has a fairly big battery, so once it charges, you’ll be good for most of the day. It has fast charging, too. Oh, the irony! As the name suggests, the slightly cheaper C5 Ultra is a jumbo-sized, evolved variant of the C4, bumped up to 6 inches, and a phenomenal pair of identical 13 megapixel cams, featuring everything from Exmor RS sensors to autofocus, wide-angle lenses, superior auto modes, HDR technique, and SteadyShot video optimizations. Okay, so the name is tacky, the paint job a tad childish, and both the power button and volume rocker positioned awkwardly. But the ZenFone 5Q offers a lot for not that much money, including a 6-inch Full HD screen, octa-core power, 4 GB RAM, 64 GB ROM, and a sweet camera setup. There’s actually a 20 MP + 8MP setup on the front, and a 16MP + 8MP setup on the back. The J4+’s bigger brother unsurprisingly feels remarkable. It lets you store a measly 32 GB data before you realize you absolutely have to get an external microSD card. On the bright side, the Snapdragon processor on the inside is 64-bit enabled, the pre-installed Android Oreo OS likewise, and the 13 MP and 5MP dual camera. It comes with autofocus and LED flash on the rear as well. The selfie camera? Well, you know, it’s one of the better 8 MP units. It’s odd, but in a Galaxy consisting of tens and tens of stars, the first two specifically targeted at selfie addicts only started shining a couple of months ago. The 5 MP LED flash front cam is almost mundane compared to some of its opponents on this inventory, hiding no software tricks up its sleeve, wide angles, or proprietary enhancements of any sort. Still better than the original Galaxy J5 or J7, though. Get it here. The BLU VIVO X4 doesn’t have a lot of cards to play in the high-stakes US mobile poker game, but the ace it’s not afraid to show off whenever it gets the chance should keep it in the tournament long enough to secure a reasonable paycheck. We mean, of course, the astounding 13 MP LED flash front camera, even if the rear 13 MP dual-LED flash apparatus is itself pretty great. Oh, and you get octa-core power and 3 gigs of memory. This time around, you get a massive 6.2-inch borderless display as well. As you can see, there are a wide variety of phones listed here. You can’t go wrong with most of these, even if many don’t feature that LED flash, they do take excellent low-light photos. And that has been the trend lately — manufacturers trying to ditch LED flash in favor of a camera that can take great low-light photos without it. After all, LED flash often washes out the detail for a low-quality photo anyway. Do you have a favorite selfie phone? Sound off in the comments section below. Can i know that is there front flash for one plus 5 mobile. ?